There are lots of packaged foods out there with bright, bold words proclaiming some kind of health benefit. You’ve undoubtedly seen them all – “Healthy,” “Low in Sugar,” “Fat-Free,” “Heart Healthy,” “Low in Sodium” – we could go on and on. 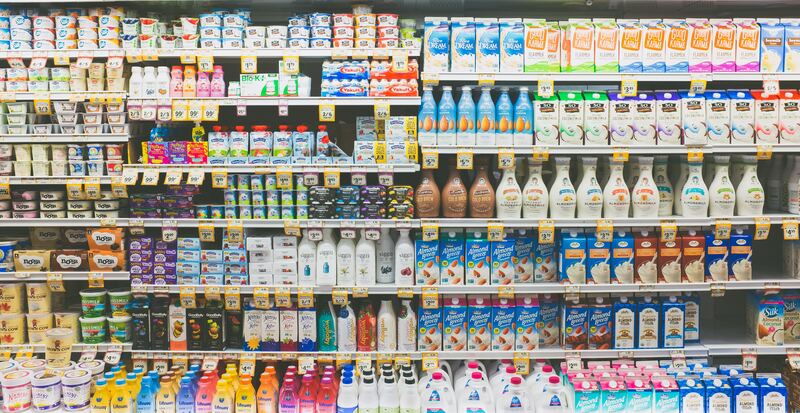 And while it’s easy to believe the foods live up to these largely generic promises, don’t always believe what you read on those big, bold, labels. Oftentimes, the key to true healthy eating lies in taking a closer look at those promises, and paying attention the labels to ensure the food you’re about to consume is really that good for you. Because it’s National Heart Health Month, we’re bringing special awareness to one of the main culprits of heart-related health problems: cholesterol. Labels like “Fat-Free” and “Low in Sodium” might prove to be accurate, but always ensure that the amount of cholesterol is limited – your heart will thank you! No – don’t eat that entire bag of chips, trust us. Sitting and watching TV and mindlessly snacking oftentimes leads us to over-consuming. Though the nutritional facts on the label are per one serving, it’s important to take note of how many servings are in each container. Sure, 120 calories per serving isn’t that bad, but if you’re consuming the entire six-serving bag of chips in one sitting, that’s a problem. Before you start going about this nutrient journey, it’s important to see your doctor to determine what your individual nutritional needs are. Any vitamin or iron deficiencies can be regulated by paying attention to labels and choosing foods that address those deficiencies. So as we enter February 2019, it’s the perfect time to go see your doctor! We hope our tips help you out in navigating those sometimes tricky nutrition labels. Stay tuned for more healthy eating tips! Previous post: 5 Days to a New You!